Pedro Alberto Martínez Conde (1934) is a humorist, poet, writer and comic actor from venezuela, better known with the pseudonym of Perucho Conde. The Sugarhill Gang is an American hip hop group, known mostly for its 1979 hit "Rapper's Delight," the first hip hop single to become a Top 40 hit. In Venezuela the song became famous the year after and it took the name of “La Cotorra”. 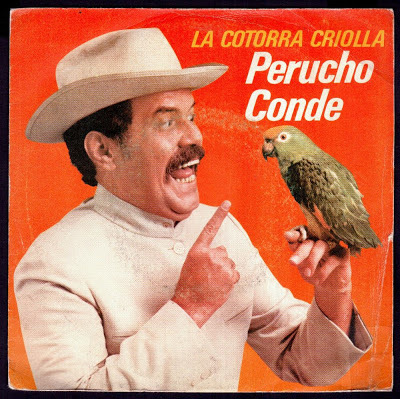 A year later, Perucho Conde made a Spanish version of the song entitled "La Cotorra Criolla", enclosed in his LP album homonymous.